Four years ago I was overweight, had trouble sleeping, made poor diet choices, worked long hours, and was on the precipice of a mid-life crisis. I decided that I wanted to be here to see my grandchildren and great-grandchildren. I wanted to be active and set a good example for my family. So, I decided to run. Today, I’m fifty pounds lighter, I’m a competitive master’s runner and I feel healthier than ever. This November, I’ll be running in the New York City Marathon. My running actually looked a lot like walking to those who saw me struggle down the road during the first few months. However, the thing that helped me get on track was having a plan AND sticking to it. I could look at my calendar and plan accordingly for every workout. The beginning is the most challenging time, because you are forming new habits and breaking old ones. Creating a calendar is essential to staying on track. Protect your workout time. Don’t compromise. This is important for you. I would recommend putting that calendar in a place where your family and others can see it and support you. It keeps you motivated and accountable. My first goal was a local 5K race. I decided when I began training that I would complete a 5K race within three months. Time should be of no concern. Finishing should be the goal the first time you race or run a new distance. Find local races by searching online or talking to others in the running community that you may already know. Choosing a local race has a few advantages. 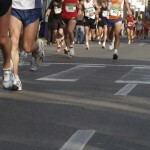 First, you can easily make it to your race without a lot of logistical planning and expense. Second, it is easy to have your family or friends there to support you. And third, you will hear about the race in the local media outlets and be reminded of your goal as you train. I chose a few easy steps to get my diet under control. I stopped eating as many bad things, and ate more good things. I stopped going out for lunch, and brought my own to work. I focused on less sugar and cut out surgary drinks altogether. Challenge yourself: Try eating two servings of vegetables with dinner. Try eliminating sugary desserts for 4 weeks. Try eliminating alcohol for 4 weeks. Try not to eat anything that comes in a box with heating instructions for 4 weeks. These little measures will result in huge health and weight-loss benefits. I find that eight hours of sleep each night keeps me in good condition both mentally and physically. Your body needs time to repair and adjust to the stress of a new training regimen so that it can grow stronger. Be sure to reap the benefits of your hard work by letting your body rest. You may want to give yourself a curfew for a few weeks and see how it goes. If you run in the early morning hours, you’ll probably miss some of your favorite nighttime TV shows. That’s what the DVR is for! Life is unpredictable. Not everyone responds to training the same way. You’ll have good days and not so good days. That’s OK. Listen to your body and rest when something hurts. The individual workouts are not as important as the overall training effort. There are communities of runners (both online and off) that support, encourage, motivate and challenge each other to reach their goals. 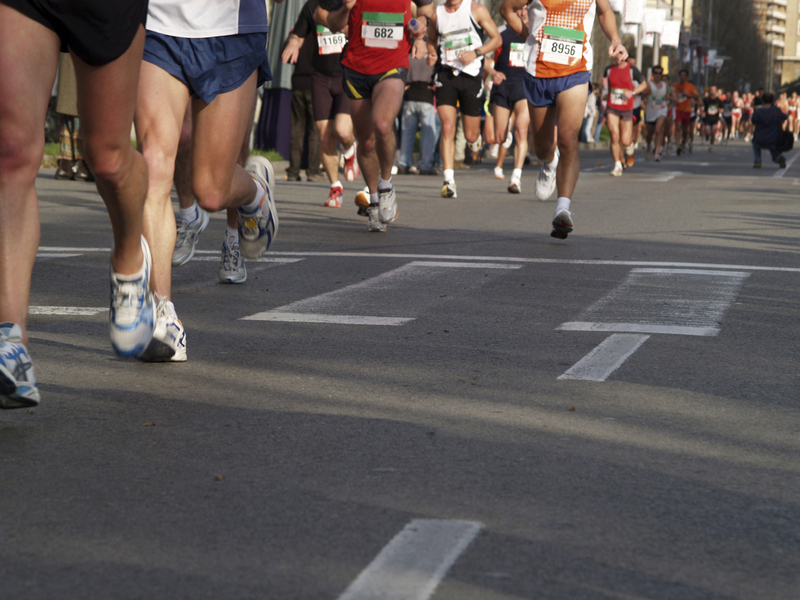 Local running clubs can usually be found either online or by visiting running specialty shops. Online, you can turn to your social networks such as Twitter, Facebook, Google+ and the blogging community for more information and resources. Stay focused. You can do this. By Jason Saltmarsh. www.SaltmarshRunning.com – Run for your life!